The Pakistan Software House Association for IT & ITES (P@SHA) held its 15thannual award ceremony on Friday, September 7, 2018, at the Serena Hotel in Islamabad. 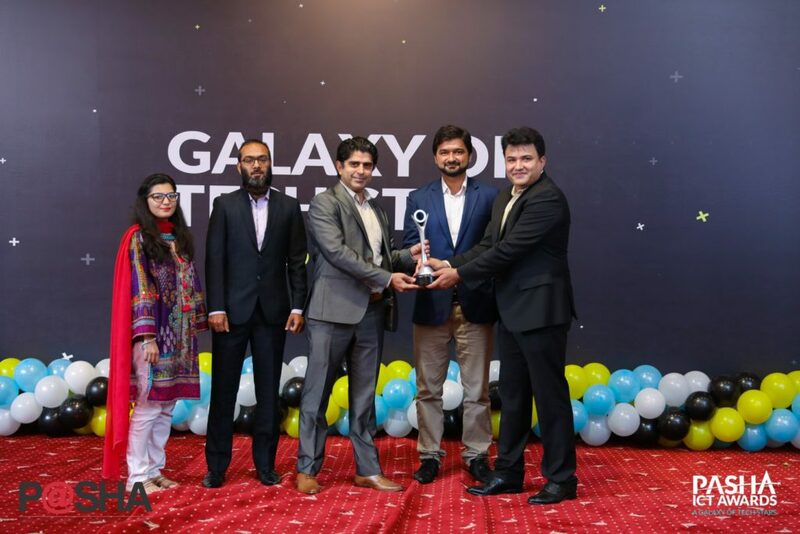 Pakistan’s Minister of IT and Technology, Dr. Khalid Maqbool Siddiqui, presided over the celebration, which honors innovative work in the rapidly advancing world of technology and IT. Leaders and experts from information technology, media, finance, retail, real estate and other sectors were gathered to celebrate the organizations who successfully made it to the final round. A total of 206 renown IT companies, start-ups, entrepreneurs and students competed under 9 categories and 33 sub-categories, going through an extensive evaluation and selection process by a panel of distinguished judges. Winners and runners-up with the potential to make major impacts in people’s daily lives were recognized at the award ceremony. The Stella Technology team, and its telemedicine-enabled clinical care services platform Stella Equinox, won second place in the “Regional, Rural and Remote Services” category for enabling access to healthcare services in rural regions where proper care and treatment are hard to come by. Mr. Barkan Saeed, Chairman P@SHA, congratulated all the participants on being the stepping stones for the world of IT and technology in Pakistan, and urged them to continue the great work already underway. Stella Technology would like to thank P@SHA and the judges panel for allowing us to be part of this competition, and for recognizing our mission to facilitate better access to care, in Pakistan and abroad.